Look Who Randomly Showed Up in Secret Empire! This is just a bit of silliness, if you’re into that sort of thing, like me. I’ve been reading Secret Empire and am enjoying it well enough. I think it’s stretched a little thin, but that’s not so bad. Anyway, I’m writing today to reveal a nifty little cameo in the latest issue from last week. It’s the sort of cameo that makes me really wonder what happens behind the scenes at Marvel Comics. 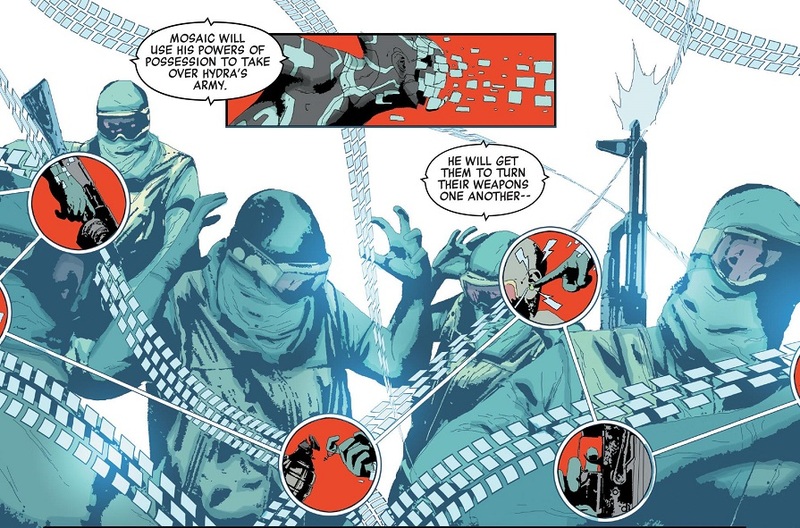 How popular did they hope Mosaic would be when they decided to give him a role in Secret Empire? Mosaic, if you don’t remember, is a new Inhuman character who got his own ongoing solo comic late last year. Marvel (and DC, for that matter) doesn’t really hand out ongoing solo comics to brand new, original characters, but something about Mosaic seemed strong enough to Marvel that they gave him the greenlight. The comic was cancelled by issue #8. As the foremost internet authority on Mosaic, I consider myself one of his biggest fans. So I giggled a little bit when I saw him randomly pop up in Secret Empire #7. 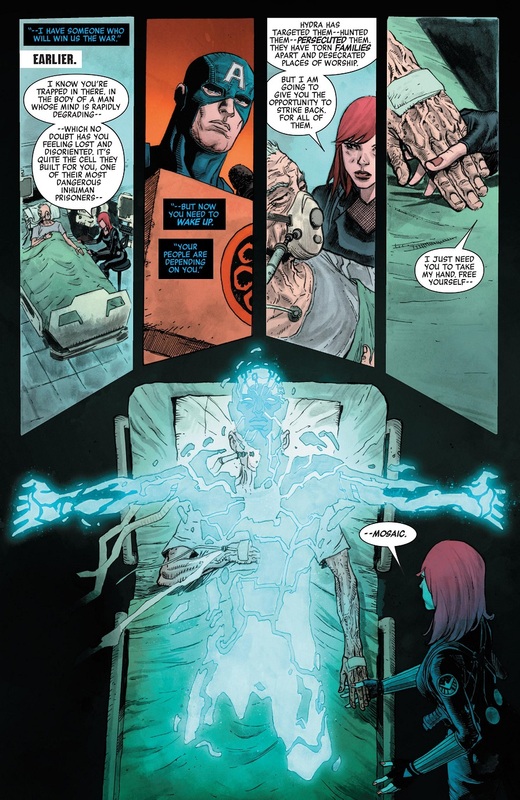 Writer Nick Spencer introduced a few issues ago the idea that Steve Rogers and HYDRA had this mysterious old man in a hospital bed as a captive. Who was this old man? What secret did he hold that would be key to the Black Widow’s efforts to stop Captain America? Welp, turns out the old man was a prison for Mosaic, and Natasha sets him free and he immediately helps her take out the guards surrounding Cap. It’s a great little cameo for Mosaic! But where’d it come from? The Mosaic comic was cancelled by the May issue, around the time Secret Empire was just starting up. Plus, a Big Event like Secret Empire is planned years in advance. So writer Nick Spencer clearly planned this Mosaic cameo a long time ago, long before his series was cancelled. Still, I’m glad to see they haven’t given up on Mosaic yet! Hang in there, buddy! Posted on July 31, 2017, in Comics, Marvel and tagged Mosaic, Secret Empire. Bookmark the permalink. 2 Comments.